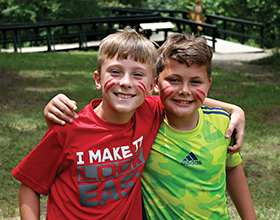 Online registration for Adventure Camp, Decoy Art Studio Nature Art Camp, Energy Exploration STEM Camp, Hidden Meadows Day Camp, Preschool Play Yard, Sugar Valley Camp, the Summer Recreation Program and Teen Games and Bonfire Series, begins Monday, April 15 for Centerville and Washington Township residents. Online nonresident registration begins one week later — Monday, April 22. IMPORTANT: Centerville and Washington Township residents, please list DAYTON as your city of residence when you create your online account for the first time. The system will not recognize you as a resident unless you follow this step!